Thank you to all our sponsors, table supporters, volunteers, and board members who help made the Annual Awards and Fundraising Gala a success! Our voter registration programs and civic engagement activities have helped St. Louisans of all ethnicities become more involved citizens. Our participation in annual lobby days in Washington, DC and Jefferson City has increased our visibility and helped inform our community and our elected officials about issues of vital importance. From art exhibits to volunteer work, engaging with corporations, agencies and organizations leads to greater understanding of the hopes, dreams and aspirations of Asian Pacific Americans – and allows us to find common ground. We have also developed deeper relationships with communities across St. Louis. Mentoring Asian American Professionals (MAAP) aims to cultivate the next generation of Asian American and Pacific Islander (AAPI) professional leaders through mentoring, skills building, and networking. The program pairs AAPI professionals with experienced leaders in their field. As of 2019, MAAP program is projected to exceed over 1,000 participants nationwide, operating in MO, CA, IL, GA, TX, Washington DC, and other states. 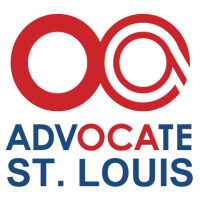 Support our work in advocacy, community education and leadership development!